The costly guessing game of when to turn off the heating can lead to extra energy costs of over £90 million a day for UK home owners not to mention a few chills and uncomfortable evenings when we get it wrong, figures from smart home experts LightwaveRF reveal. Coping with changeable spring weather by turning heating off to save money, is one of the top causes of family arguments at this time of year. Do it too soon and it leaves the household shivering and complaining until it goes back on running up costs as radiators are shut down only to be fired up to get the property warm again. Do it too late and receive unnecessarily high bills on the warmer days. One in four people put up with an “unacceptably cold” house to keep the bills down while two in three have attempted to reduce usage and cut costs which have risen by an average 28% in the past three years, according to regulator Ofgem. Increasingly householders are turning to new simple to install, Internet linked control systems and fitting smart radiator valves and thermostats that reduce heating demand by around a third over winter. Already two million houses and flats in the UK have gadgets installed that allow them to run their properties more efficiently. Industry research predicts as many as one in four people, some eight million, will be using smart technology in the home by 2020 with builders increasingly “future proofing” new houses by fitting smart devices. Over half of property owners see this technology as having a major impact in providing better comfort in their homes. 55% said it would mean improved security and 53% more convenience in using energy and lighting. Smart home experts LightwaveRF says it is selling 8,000 devices a month as people realising how technology can cut bills, as well as making lives easier. 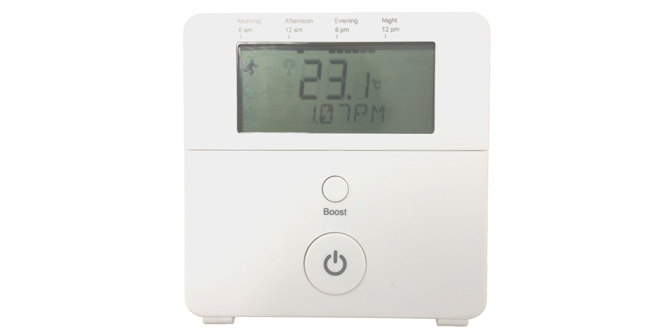 Smart products can be used to create a complete home system where a thermostat, energy monitor, radiator valves, dimmable light switches, power sockets are controlled from wherever you are – at work, on holiday, visiting friends or just out walking. Magnetic triggers can detect an open window and automatically turn down a radiator. Products in the pipeline will also be able to predict room usage from patterns of behaviour automatically altering lighting and heating as people arrive home. Neil Smith, head of research and innovation at the National House Building Council said: “Smart homes are able to deliver previously unimaginable levels of convenience and control, There’s a technological revolution taking place before our eyes and it’s starting to benefit our lives in many ways. Perhaps in five years’ time, much of what we produce today will be taken for granted in the same way that satnavs are in cars,” said John Shermer, Founder of LightwaveRF. Smart technology is increasingly playing a part in all aspects of our lives. Smart TVs connected to the Internet allow instant downloading of films and games and those concerned about health and fitness are wearing smart devices that monitor their general wellbeing. Cars are being launches with automatic climate control and windscreen displays are becoming commonplace.